Does a geographically focused New York law practice offer advantages? Brooklyn attorney Michael F. Kanzer of Kanzer & Associates does it all. As a diversified legal practitioner with 25 years of local experience, he is very familiar with the legal needs of New Yorkers. So, has location specialization with legal services helped? Michael F. Kanzer feels it has. In addition to Bankruptcy Relief, Michael F. Kanzer’s Brooklyn New York legal focus has been noteworthy with Real Estate Law. His firm recently represented the sellers for a His firm recently represented the sellers for a 13 million dollar property in the resurging Bowery/NoHo area of Manhattan. Brooklyn Attorney, Micheal F. Kanzer is definitely plugged in to activity that demonstrates the booming commercial and retail real estate New York. It’s still a fact though that, after celebrating his 25th year as an attorney, Mr. Kanzer finds the need for legal Bankruptcy Relief is as necessary as any time before. Is Chapter 13 Bankruptcy A Good Option? Mr. Kanzer believes it is. Often, individuals overwhelmed with debt feel that total liquidation of their debts and starting with a clean slate is the best way to go. But if they have real estate and are in arrears, a Chapter 13 Bankruptcy is a more viable alternative. Chapter 13 can be described as a type of debt consolidation. 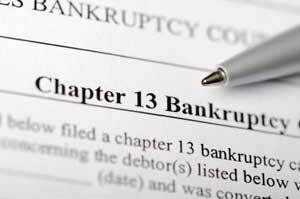 Chapter 13 of the United States Bankruptcy Code, codified under Title 11 of the United States Code, administers a form of bankruptcy in the US that allows individuals to undergo a financial reorganization supervised by a federal bankruptcy court. It's always a possible option that an individual who is seriously in debt can file for bankruptcy either under Chapter 7 Bankruptcy (liquidation, or straight bankruptcy), under Chapter 13 Bankruptcy (reorganization), Chapter 12 Bankruptcy (family farmer reorganization), or under Chapter 11 Bankruptcy (reorganization of a company, or an individual debtor whose unsecured debt exceeds $360,475.00 and/or whose secured debt exceeds $1,081,400.00). Under Chapter 13 Bankruptcy, the debtor proposes a plan to pay creditors over a 3- to 5-year period. The written plan details all of the transactions, with time durations that will occur, and repayment according to the plan must begin within thirty to forty-five days after the case has begun. During this period, creditors can’t collect on the individual's previously incurred debt except through bankruptcy court. Generally, the individual can still keep his or her property. Michael F. Kanzer & Associates knows the best legal options to pursue, based on the individual’s financial situation and the potential outcome of the existing remedies that are available.